This apple resin sculpture is the perfect award for teachers or dieticians. 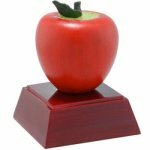 It features a red apple atop a rosewood colored base. A football in one hand and the TV remote in the other. this armchair quarterback controls the game from his chair. 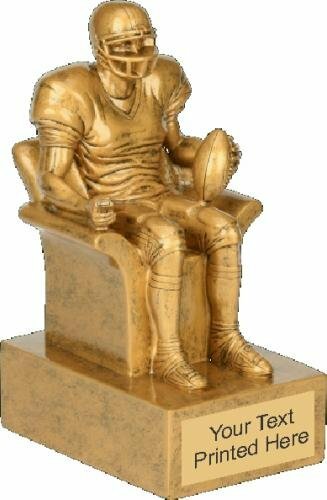 Use for a football fanatic or a fantasy football league. Gold metal plate is printed with black text. Individually boxed. Up to 10 words of text included. A football in one hand and the TV remote in the other. this armchair quarterback controls the game from his chair. Use for a football fanatic or a fantasy football league. Gold-colored resin quarterback on wood veneer base, with gold metal plate printed with black text. Bulk packaged. 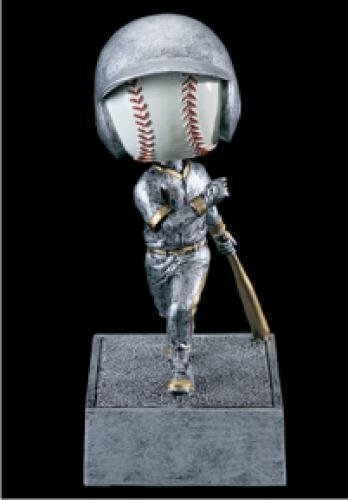 Baseball bobble head award. Infectious trophy fun. 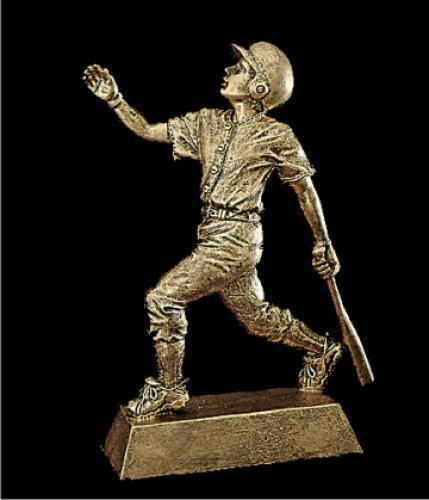 This trophy is for the baseball team that ripped apart the competition. It's a monster of a resin award. A trophy fit for a champion. This classic baseball / softball award makes a statement. Resin with a black aluminum plate with silver engraving attached to the front. 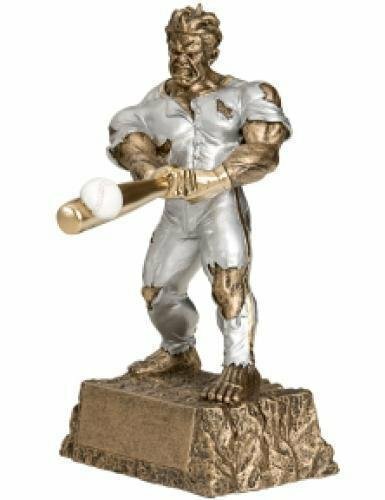 Detailed resin male baseball trophy. Comes with a gold plate printed with black text. Individually boxed. Detailed resin female basketball trophy. Comes with a gold plate printed with black text. Individually boxed. Production lead time for this trophy is 5 days. This trophy has a maximum order quantity of 4. 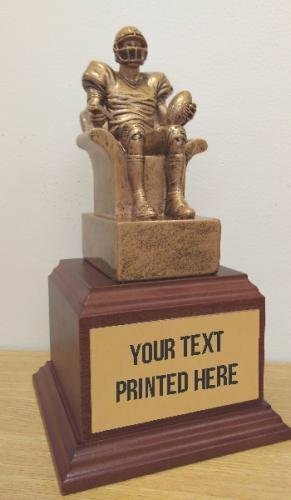 Detailed resin male basketball trophy. Comes with a gold plate printed with black text. Individually boxed. 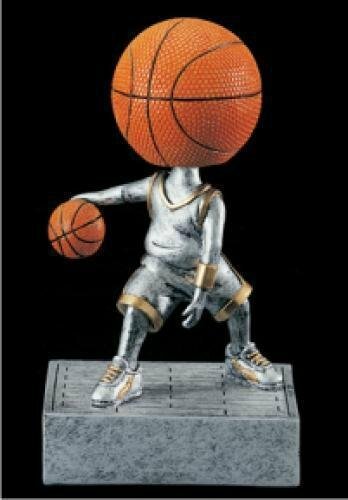 Basketball bobble head award. Infectious trophy fun.